Steve Catizone been working in the field of music recording, producing, and audio engineering for the better part of two decades. Despite his success, Steve hasn’t forgotten how hard it can be to break in. 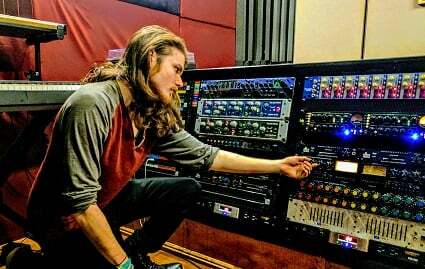 That’s a big reason why he works as a Recording Connection mentor, helping driven, young people find their way into the industry by working in an actual, professional recording studio. It’s something Steve knows a lot about considering he ran Sanctum Sound in Boston for more than a decade before making the trek out to Los Angeles where he worked at the world-renowned Serenity West Studios. Since then he’s returned to Boston and started his own studio, Infinite Music.